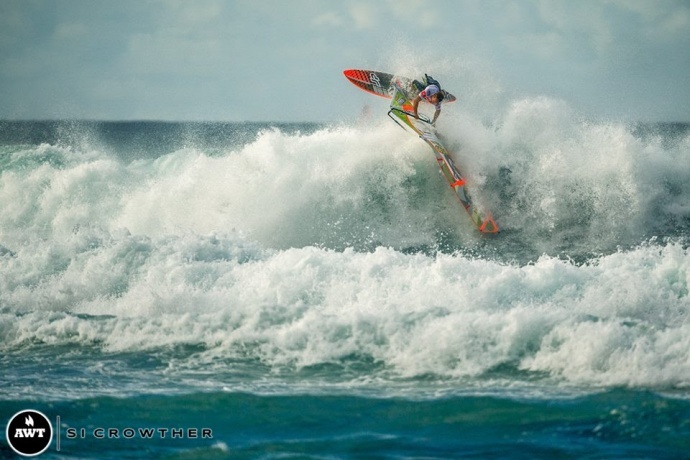 The 2014 edition of the AWT Severne Starboard Aloha Classic got underway on Wednesday at Maui’s Hoʻokipa Beach Park, a place often referred to as the world mecca of windsurfing. 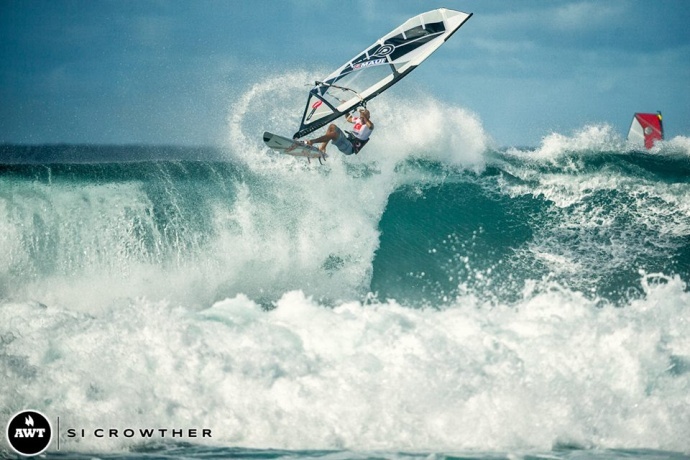 The event returns to Maui’s North Shore for the fourth time, featuring top windsurfers from across the world who are competing over the course of two weeks through Nov. 11, 2014. The first day of competition featured the Pro Men’s division with Keith Teboul pulling off the highest scoring wave of the day during heat 10. The 7.9 score puts Teboul on the fast track to round three, along with Morgan Noireaux who scored a 7.86 in round 1 of competition. “As in the early rounds in Peru, Hot Sails Maui rider Morgan Noireuax is currently topping the standings for heat total with 15.233 in Heat #1 while Quatro’s Keith Teboul left the shaping room long enough to show his rail and claim the highest wave score with a 7.9,” said AWT head judge Chris Freeman in an event press release. 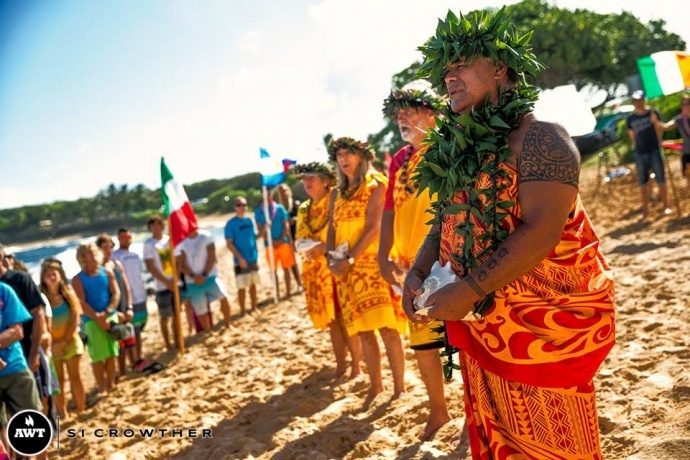 A blessing was held to kick off the event on Wednesday morning at Hoʻokipa Beach Park on Maui. 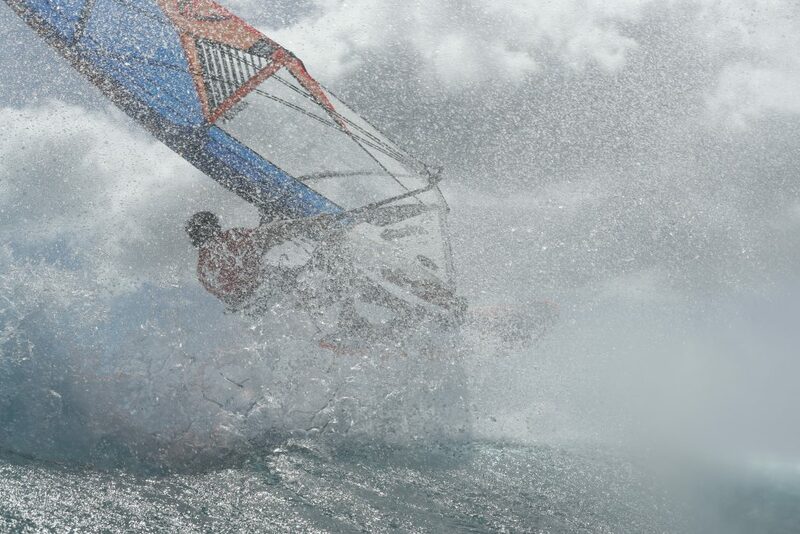 Image courtesy Si Crowther/AWT. The second and third place finishers from each heat have a second chance to advance in round 2 of competition, which got underway on Wednesday, but was stopped due to a drop off in wind conditions. The competition will continue with a re-sail of heat sixteen today (weather permitting) and the remaining four heats left in the round. 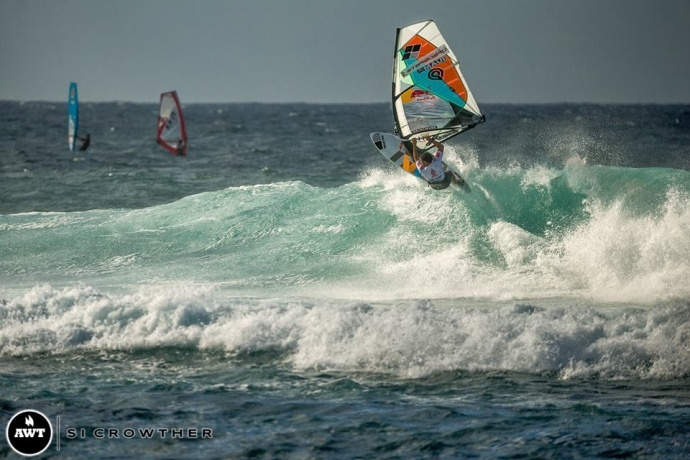 Just eight of the 24 riders in the round will advance; while 16 windsurfers will emerge from round 3 after placing one or two in their respective round 1 heats. 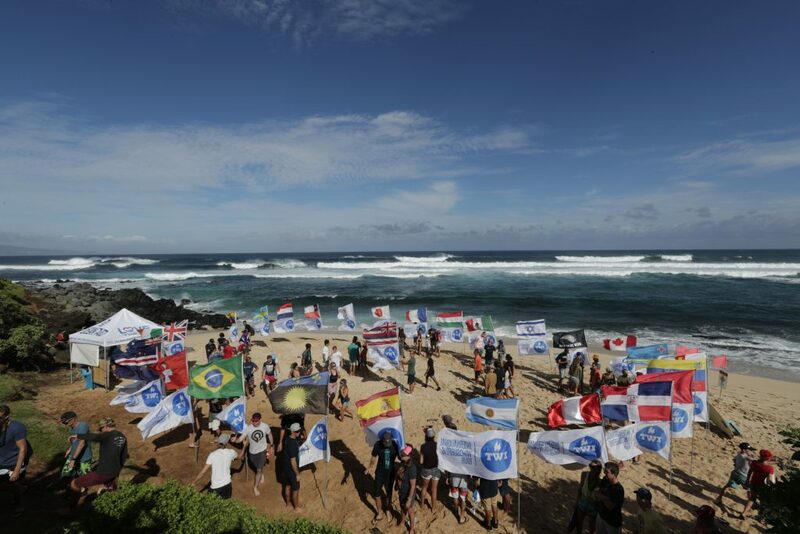 Event organizers say that if conditions are right, we could see the Servene Starboard Aloha Classic and the 2014 AWT Pro champions crowned today. 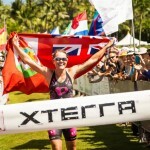 “Reviewing the individual heat scores provides insight into how the judges are interpreting the riding here at Ho’okipa,” said Freeman in an event update. “As we move towards the later rounds it will be interesting to see how the riders adjust to the conditions and how the judges respond.” he said. 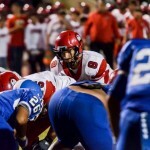 Aloha Classic – Day 1. Image courtesy AWT Sicrowther. All other divisions released for the day. Robby Swift completes his heat with a stylish goiter. Image courtesy AWT Sicrowther.